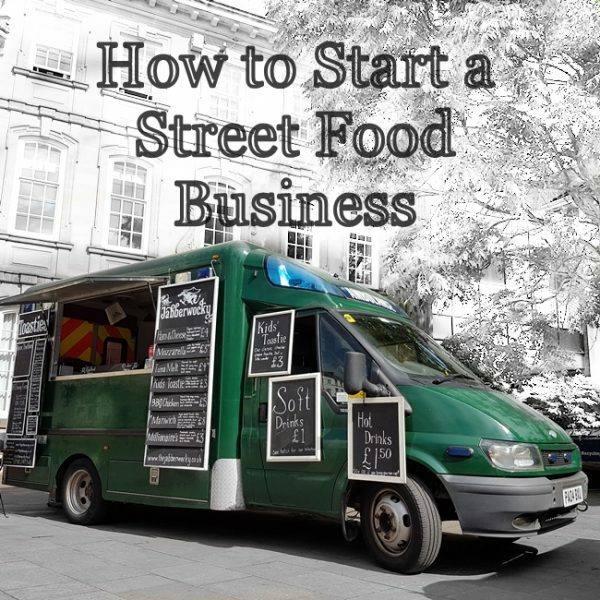 A short guide to starting and running a street food business. 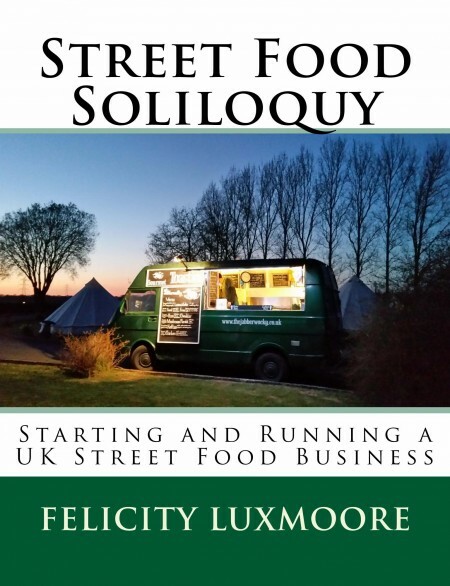 For the whole messy story I’d recommend starting at the beginning; for posts that are specifically for startups you might want to read some street food theory, or buy the book, but here are some common problems and advice for starting a street food business in the new era of catering. We have written a book which covers starting out in street food in detail, with more info on every one of the topics below. Either buy direct from Amazon or visit our dedicated book page for more details. Which licences, permits and paperwork do I need? What kind of setup should I use? Can I use my kitchen at home? Do I cook on gas or electric? Where can I get advice from? How do I apply for pitches? How do I know this fair/festival/market will be any good? How many units should I take to this event? Where do I find places to trade? Should I serve hot drinks? Do I need to provide seating? How do I stop people ripping off my idea? Do I need a website and social media? Does it work for couples? We should probably cover this first. Street Food is the new way to eat gourmet dishes without paying the earth. It’s a bunch of passionate, motivated owner-operators who have a product they love and create it right there in front of you using local, high quality ingredients. The people you are buying the food from are the chefs, the owners, the drivers, the marketers, the buyers and the servers of the meal you’re eating. It’s artisan cooking at it’s most direct. This distinguishes it from more established cousins festival caterers (larger units, often many units owned by one company, mainly large festivals) and mobile caterers (think markets and car boot sales, selling straight forward food) although there is a lot of crossover, and you will find us all hanging out together when it’s raining. Set up as a sole trader or a limited company. Then you need to register a food business with your local authority. They will get the Environmental Health on your case and ultimately get you a Food Hygiene rating. That’s the only licence you need, but you will need some other paperwork before you can serve the eager masses: Public liability insurance is a must, a gas safe certificate (if you’re using gas) and a PAT Test certificate if you’re using electricity. Get all of these scanned onto your computer and ready to attach to applications and all you need are some events to attend. Personally you need a food hygiene certificate, which can be done online and costs about £30. This proves you know what hand-washing is, for which we are all very grateful. At some festivals you will also need to submit your Risk Assessment, Method Statement, HACCPs and a whole variety of other documents. Do these well once and all you need to do is review them periodically. NCASS members get customisable versions as part of their membership, or check out the book for a detailed break down of what they actually are. Good question. The food you serve needs to make you money, so while something rare and ambitious would be amazing, people won’t buy it. They just won’t. Not even that awesome crowd of really hip foodies over there. You know why? Because they’re having a dirty burger from the trader next door, which is just as hip and they already know tastes good. I’m not saying it can’t work. It absolutely can because there is a niche market for exciting street food, but it’s just that: A small gap. No, hang on. You need to serve the thing you got into street food knowing you wanted to sell. The thing you’re all passionate and giggly about. You need to try that, but with an open mind and a business head that can identify the difference between the next big thing and the thing that just isn’t going to work, not in this life or any other. Still not true. You need to be practical. It’s all about the passion, but if it takes you 45 minutes to make each portion you won’t make money. It’s also a lot about money. In the end, running a street food business is about picking a cuisine/foodstuff/dish rolling with it. I would recommend you pick one thing, and make it better than anyone else does. It’s not a hard and fast rule, but it will keep your costs down and make your brand clearer. Is there already someone doing a killer burger near you? Do you make an amazing burger? Would you mind eating nothing but burgers for a whole weekend? If you answered no/yes/no: Do it. Any other combination of answers and I would at least consider something else first. The reason for this is because no one is going to book two burger stalls when they could have a burger stall and something else. It will also take a whole lot more to stand out, but if your burger is the best burger there is, then you will wipe the floor with all other food vendors. The gazebo has merits. It’s the cheapest to get started, requires no insurance (other than standard public liability), always starts and won’t fall apart on the motorway. Most catering pitches are standardised to your regular 3m x 3m marquee so you also won’t be paying over the odds. You are at eye-level with the customer, which is an added bonus. It does involve a lot of carrying, so this is not an option if you have mobility or back issues. Arrive, open hatch, serve. We can be the last people to arrive and still start trading first. In the winter we will be deliciously warm compared to the stalls, even if it can get a bit hot in summer (Pro tip: paint the roof a light colour). Food vans are also rarer, so you and your unit will stand out, especially if you have a ravishing paint job. Before you rush off to buy one a word of warning: Food vans, old ones especially, go wrong. Humorously, continuously wrong. You may also end up paying for dead space if your pitch is measured by length, as you won’t be serving from the cab. However, anecdotal evidence suggests they would be the superior choice in the event of a zombie apocalypse. If you are thinking of investing in a new one I would recommend having a browse on the subject of converting your own before you spend big bucks on a professional one. In many ways this is the best of both worlds. Practical but compact, without the overheads of a van, although a well kitted out trailer will still set you back thousands. Even with an amazing paint job trailers don’t have any of the iconic vehicle status that you get from a classic VW or Citroen, and they can still break down. I’ve heard some things, man. They are also not trucks. I love your optimism, but unless it has an engine, it’s a trailer. The short answer is yes, assuming your kitchen at home is not health hazard. If it is then you’d do us all a favour by renting someone’s commercial kitchen while they’re not using it, or choosing a food that doesn’t require any off-site prep. You will need to have it inspected by your local environmental health department. Contact them for details and make sure it is spotlessly clean whenever they come near your house. As a bare minimum you will need a separate handwash sink, colour-coded chopping boards, proof that animals and children don’t sneeze/sick/cat on your surfaces and a cleaning rota for when you are using it for prep. This will be your first mayor decision once you have bought your unit. The short version: electric is cheap to set up but expensive to run. Gas is expensive to setup but much, much cheaper to run. So it depends on what sort of budget you have starting out, and what kind of costs you want to deal with later. For a closer look at the debate I would recommend this post right here. NCASS are a bunch of down to earth guys who love a bit of proper independent street food. They also provide loads of resources and free training, as well us a neat little texting service for local events. If you have never worked in the food industry they are the best way to get legal and certified. It’s worth joining in your first year just for this. This is not something we get asked, but it is something you need to know. All of the big pitches that you want to trade at over the summer are handed out in spring, and applied for starting in the New Year. You need to be ready and funded to do these applications and pay deposits if you want to do music festivals. Smaller fairs, markets and certain speciality festivals can be applied for throughout the year, but the big guns will be done and dusted by April. Glastonbury, the Oxbridge of festivals, runs trade applications even earlier, and has hundreds of applicants for every pitch. High up-front costs, but music festivals have the potential for huge takings over the weekend, especially as you have the opportunity to get to know your customers and can benefit from repeat custom. The customer/trader ratio is key here: too many traders and you will lose out. The festival might tell you this information up front, but ticket sales, recessions and the weather can screw all that up in a matter of weeks and your huge up front pitch payment might suddenly vanish with no hope of ever getting it back. There are also as many types of music festival as there are genres of music, and each one will have a different feel, a different crowd and a different appetite for what you serve. While they all follow the same basic formula some have very restrictive trading hours, some favour wet or pill-shaped meals over actual food and others will, for no discernible reason, just not want your food at one particular mealtime. The only way to find this out? Foot the bill and take your chances, but for the love of all that is cheesy DON’T try and do a massive music festival in your first year. There are lots of smaller ones out there charging less. Most major cities have at least one of these now. Going through the ones we do: Birmigham has Digbeth Dining Club and Seasonal Markets, Leicester has Canteen and Sheffield has Peddler. 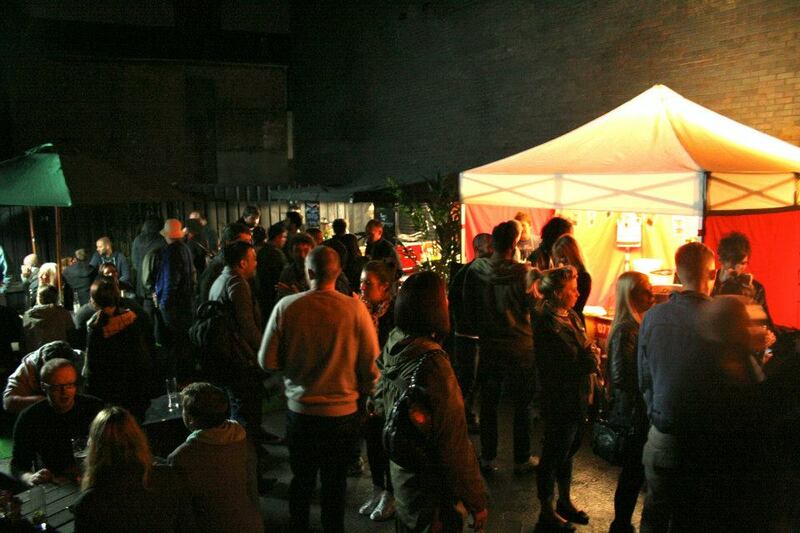 These (usually Friday night) events are excellent for meeting other like-minded people (both fellow traders and customers) tasting the competition and generally becoming part of the street food scene in your area. They often host bloggers or journalists and are a good place to be “seen” as in many areas they are considered a mark of quality if you trade there. And any other private, pre-paid gigs you can get your hands on. Often these will come from people trying and loving your food on site, or through searches for local caterers specialising in that food. You can also hunt these out yourself, see Online Service below. Weddings are, obviously, pitch-fee and wastage free. They are also usually on the precious top 10 weekends of the year, so taking a wedding rules you out of a lot of high value events. Off-season weddings are the way forward. For more advice see this post about street food at weddings. This magical new internet invention will deliver events to your inbox and then charge you either a percentage of your final fee or an upfront cost to quote for them. Most of the events you get through these services are delightfully poo (20 people for a three course meal at less than £5/head on the August Bank Holiday anyone?) but as you can be selective in what you quote for, you should be able to get work easily if you just need some hands on experience or ready money. While there are many, the only one I would regularly recommend for new starters is Addto Event, as they get probably the best of a mediocre crop of events. You buy yourself credits up front and are then charged x amount of credits to quote a job. Investing a few quid here ought to find you some jobs that are worth the effort. Town markets are a good regular source of income, and provide midweek trade as well as a coveted regular pitch, which is lovely if you need predictable income rather than flying free and loose like some of us. Note that customer-spend will be significantly lower here as people are not there to sup on your delicious food, but to nab a bargain. Farmers markets or speciality markets are probably more suited to street food, because they attract foodies over bargain hunters and have a higher spend per head. Unfortunately these markets are usually a single day at the weekend, meaning you will spend more time looking for them, and the potential takings are low compared to even a small festival. They are projects, to be worked on over several months as you establish yourself and build an audience. I would approach paid food festivals with a healthy dose of common sense. Asking people to pay to go and pay for more food is a cunning business plan, and there are people out there who do pay. People will usually buy tickets for these events on the day, meaning that if it rains the place will be dead. On the other had a well established food festival can attract a fantastic crowd of food lovers keen to try something new, but again be careful of a bad ratio of traders to customers and be fearful of free food being handed out right next to your pitch. These guys have to make all their money from the traders, so expect a lot of competition, along with all the free samples. Visitor numbers will usually be much higher, because passing trade will get involved, but as with the paid for food festival, the moment it rains you’re done for the day. Additionally you will watch as everyone flocks to the hog roast. You will hate them for having it so easy. The food here is, as a rule, around 10 years behind everywhere else. We are now approaching 10 years of street food, so veeeery gradually these shows are starting to update the tired old multi-purpose units and bringing in new blood. Expect to sell lots of good, honest versions of whatever you do. Your cheese and ham toastie, if you see what I mean. You may also catch the occasional gumble on the price here while they part with their hard-earned, lightly horse-aroma’ed cash. Don’t worry, the quality product wooes them all in the end. You’ve found our blog; as far as I know we are currently the most comprehensive resource out there. We have also written a book which brings everything together in a usable way and covers the useful start up topics in much more detail. I’ve covered almost every topic I can think of at some point, so I’d recommend starting with the that and seeing how far it gets you. If you still have questions try the search bar at the top of this page. If by some freak accident you can’t find it there then ask your question in the comments, I’ll either answer you directly or do a post about it in the next few weeks or both. If you are already up and running then other street food traders or general traders are often ready to chat on a quiet day, especially if you open by offering them a cup of tea (having this ability is one of the sweet, sweet saviours of a rainy day, just so you know). Almost every place to trade will have a slightly different method for applications. Bigger festivals will have online applications forms, most markets are managed by a company whom you will need to develop a working relationship with and smaller festivals will usually be .pdf forms to fill in and post back. You will need electronic copies of your liability insurance, food hygiene rating, gas safety check and PAT test if you have electrics on board. It’s worth also working out who you are and what you do, so that you can confidently sell yourself in an email if the occasion arises. How do I know if this festival/fair/market is a good place to trade? Mostly by going there and trading. Asking other traders is useful, as strictly off the record we will be more than happy to tell you if it sucked. But then again one person’s anecdotal story of a festival could be wildly different from another, as within the festival there is always the problem of getting a good pitch. If you can visit before hand and have a look round that will give you a good idea, but your location within the festival will make all the difference. I recommend that you expect to wind up finding out the hard way some times. How many portions should I take to an event? Once you know the answer to this I believe you win Street Food and we all get together to hold a little ceremony in your honour. The simple answer is: Enough to make the money you want to make. Less than that and you might as well not take the event, more than that and there will be loads left over. Here is some more detailed info about how many portions to take. Start with the internet. Work out how far you are willing to travel, and what sort of thing you’re looking for. Then spend literally hours digging through google picking over long forgotten websites and the wretched husks of neglected domains trying to find events. This is a long process, but there really isn’t an easy fix. If you already have some events in mind get those first, and start making a list. While we’re on the topic: A piece of trader-to-trader etiquette, never spoken, but always observed. Don’t ask to see someone else’s event list. We get asked from time to time by people just starting out, and I totally understand why you would, but we don’t share the list. Yes in a van or trailer. No in a gazebo. You will need to have hot water to comply with health and safety regs, so get a tea urn. Not only is health and safety now happy, you also have tea. Apart from keeping you sane, as tea always does, it’s also a tidy little earner and nice and warm in the winter. As an added bonus it’s the perfect way to keep your gazebo-based trading neighbours sweet if they don’t have tea facilities. Make sure you mention it on trade applications. Otherwise the organisers might pop you next to a dedicated tea/coffee stall, and no one will be delighted. This depends on where you trade. At large music festivals and food festivals seating will often be available, but at markets and small festivals, especially quiet ones, seating can make a huge difference for two reasons: 1. People make their choice about food based on several factors, and one of them is sitting and eating. Especially at a festival where seating is scarce, your chairs will be prime real estate. 2. It makes you look busier, because it keeps customers outside your unit for longer. A busy food vendor, the thought train goes, tastes better than a quiet one. More in depth info can be found here. Yeah, this is a tough one. You cannot prevent people from cooking the same food as you. You cannot stop them doing it the same way you do unless the method you use is a patented invention of your own. In most cases you will even find that some other idiot has already thought of your brilliant brand name and has registered the domain, twitter and facebook, then isn’t even using it. So you need to be the first (in your area) the best, and the most nicest. Do register the facebook, twitter and webdomain as soon as you can, because these days that is pretty much all the guarantee you need. Oh, and it’s worth checking the Intellectual Property Office to make sure your grand idea hasn’t already been taken. Once you’re all clear on that front, you can decide later if you would like it to be a registered trademark or not. For the time being, just get yourself out there. Oh, and don’t be that guy who rips off other people’s methods. This is your dream, do it your way. Yes. I mean have you looked out the window recently? No neither has anyone else – we’re all online watching it streamed live. So yes, everyone needs a website these days. But not urgently. While you probably won’t lose a pitch you have applied for as long as the application is up to scratch, you won’t be getting any extra business from other sources. That being said, not all street food businesses have websites, so you won’t be alone. Social Media, on the other hand, is free to set up, takes only minimal web knowledge and at least gives you something to point potential events at. Make a Facebook page, put some pictures up, fill in the about section and ask your mates to like it. Then set up twitter and instagram, follow some of the big voices in street food and you have all the resources you need for asking questions. (I’d recommend your local street food collective, local events that you would like to join, local food producers, other street food folks in your area and @jabberwockyfood). Barny and I have been together for like, ages now. Since incorporating the Jabberwocky he has also proposed and we have got married, and started a family. For us, it works. For you? There’s only one way to find out. We do argue. When the day is going badly and you’re not going to break-even it’s really hard to find anything nice to say about the other person. In fact it’s pretty hard not to brain them with a colour-coded chopping board (Red). But on the other hand, when the day is going well; you can see your future together unfolding hand in hand with street food. Every customer is a sparkling happiness fairy and your partner is the god of toasties. Rule of Thumb: if you feel like you’re stifling each other after spending two hours together on a quiet Sunday afternoon then I’d give this particular venture a miss. It’ll all end in tears. And blood. It depends on what kind of street food business you are running. If you have a limited company like us, then yes, for the love of all that is cheesy get an accountant. You have better things to do with your time than paperwork. Check with a few, negotiate how much you are going to pay and then hand them your bookkeeping and watch the magic happen. If you are a sole trader the paperwork is all self-assessment and can be done online. I’d still recommend consulting someone in the know, as the fines can be quite hefty, but once you have done it for the first time it’s reasonably manageable. You need to find a way to make the purchase price of the food + your labour worth the amount people are willing to pay for it. This is the ultimate goal. If every tiny change you make increases sales by a tiny fraction then that is what you need to do. Keep tinkering, never be entirely satisfied and make sure you know how to get money out once you have made it. Flic Luxmoore, Director, curator and chronicler of the Jabberwocky. Purveyor of Street Food, specifically toasties, and alfresco dining enthusiast. If you are hungry for more street food brain-fodder, you probably want to buy the book on Amazon. We also use Amazon Affiliates, so any purchases you make after following that link will dribble a tiny referral fee back to us, which helps to keep the website going. If what you have read has been truly helpful then clicking through and bookmarking this link as your Amazon page would be very kind, and costs you absolutely nothing. While we love hearing from you, please understand that we won’t answer questions about setting up via email (or facebook/twitter message), as we want the information to be available publicly – post below and we will get back to you whenever we can!